The Victorian Government has announced a $2 million boost to encourage the development of waste to energy technologies, including anaerobic digestion and thermal treatment of waste. Victoria’s commercial and industrial sector produces about 300,000 tonnes of food waste annually, of which nearly 80% ends up in landfill. Decomposing food waste releases methane to the atmosphere which is 25 times more potent than carbon dioxide and contributes to climate change. Minister for Energy, Environment and Climate Change Lily D’Ambrosio said the initiative, supported by Waste to Energy Infrastructure Fund, will support sustainable energy production using organic and other materials and divert more waste from landfill. 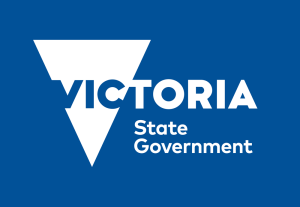 “This program supports investment in renewable energy technologies that will help Victoria become a low carbon economy and reach our target of zero net greenhouse gas emissions by 2050,” the Minister said. According to her, expressions of interest close on 3 April 2017, with full application and detailed business case assessment process to follow for eligible project ideas. “Waste to energy projects offer opportunities for Victoria, by creating jobs, helping to reduce business costs, generating sustainable energy and reducing pressure on landfill,” Ms D’Ambrosio concluded. For detailed information visit: www.sustainability.vic.gov.au.